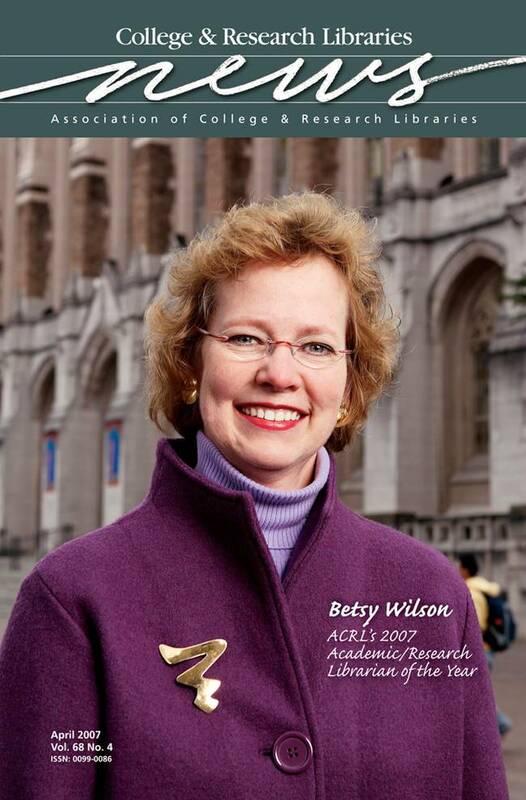 Lizabeth “Betsy” A. Wilson, dean of University Libraries at the University of Washington, is the 2007 ACRL Academic/Research Librarian of the Year. Wilson is recognized for her pioneering and leadership roles in the areas of information literacy and assessment, as well as for her commitment to collaboration and partnership. Photo by Dennis Wise ©2007 Studio 3, Inc.